Dog and Boy has been on my radar for some time now. 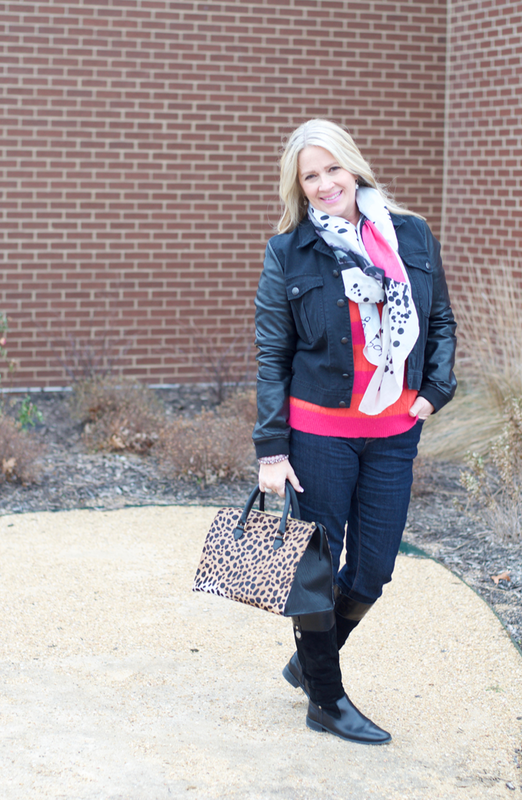 I love a great scarf and these did not disappoint. Made of a silk and cotton blend they are soft and luxurious to the touch and the oversized scarf lends itself to endless possibilities of styling. 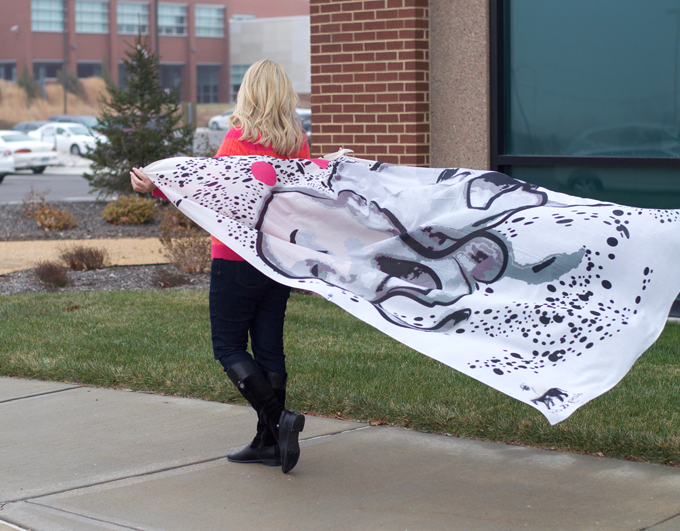 This particular scarf, The Muses is fun with its pinks and grays; throw in a few spots and it was perfect for me. 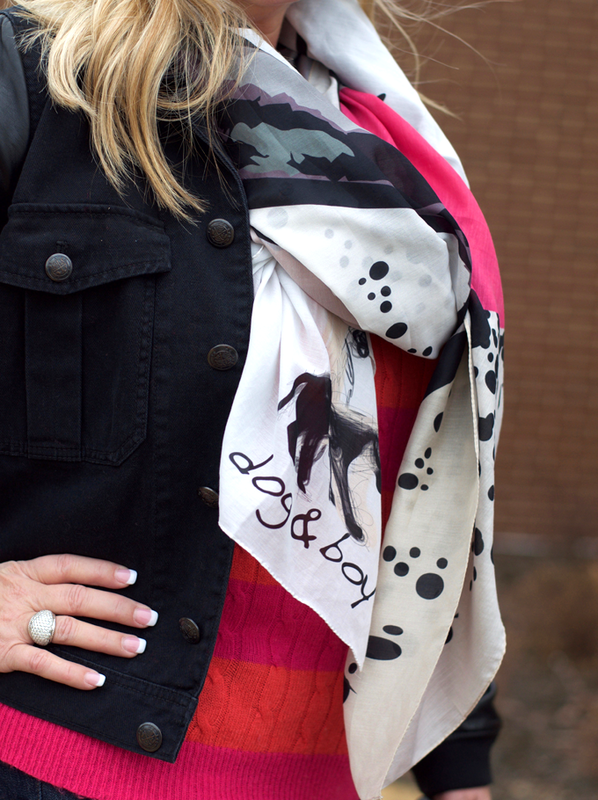 Dog and Boy Scarfs are more than just a fashion accessory, they are a piece of art, a journey into your creative imagination and inspiration. 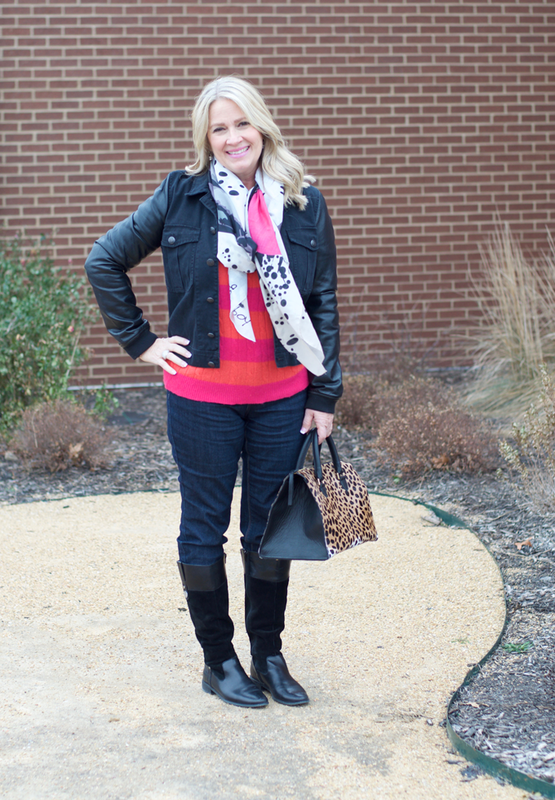 Never shy to pattern mix, I was quick to add the playful pattern of my scarf with this bright striped sweater and my Clare V Leopard Sandrine.